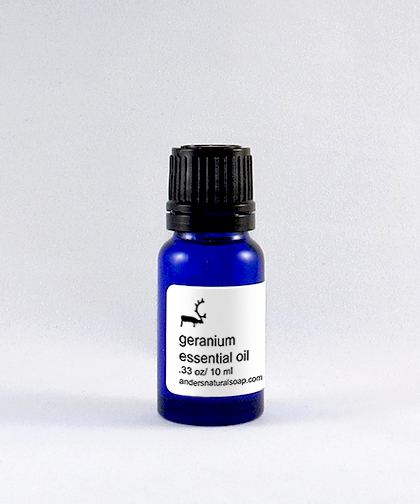 GERANIUM: This essential oil is steam distilled from the leaves and flowers of the Rose Geranium plant. It has a gentle floral scent with a minty fresh finish. Geranium essential oil has been shown to have anti-inflammatory, antibacterial and antioxidant properties. Used in skin care, it can help balance the function of the oil glands and has cellular regenerating properties.